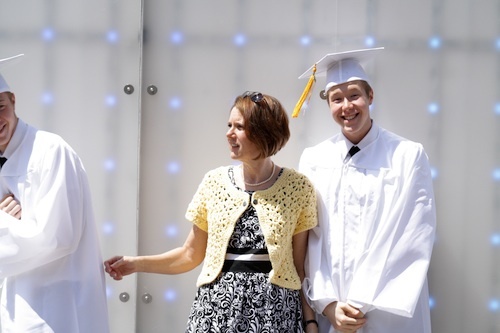 My two younger brothers graduated high school yesterday. Um, what? When did they turn 18? Last time I checked they were still 8. 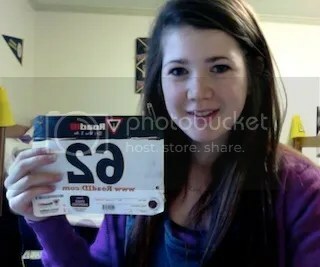 I guess the fact that they’re 6’2″ and have valid drivers licenses should have clued me in on that one. I feel like such an old lady right now. It is literally impossible for my family to take a normal picture. It’s a little bit of a problem. The ceremony was short, sweet and to the point. Just how all graduations should be. One of my brothers actually gave a speech during it. 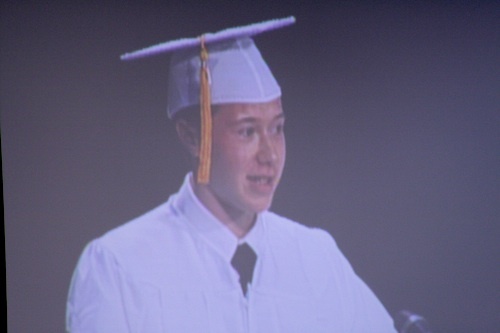 He was on the senior council, so he got to introduce the valedictorian. There he is on the Jumbotron. He speech went really well, and he didn’t puke or freeze. Always a good thing. I brought my jumbo creeper zoom camera lens, which doesn’t help the fact that I’m only 5’4″ so I’ll spare you the pictures of them walking, because about 50% of the photos are the tops of heads of the people in sitting in front of us. I did what I could. It’s so weird to think that my brothers will be heading off to college in two months. It blows my mind. I’m proud of them though (shh don’t tell them I said that), they’re pretty cool when they’re not annoying the poo out of me. Graduation was followed by a delicious dinner. I love my brothers, but let’s be honest, I came for the food. 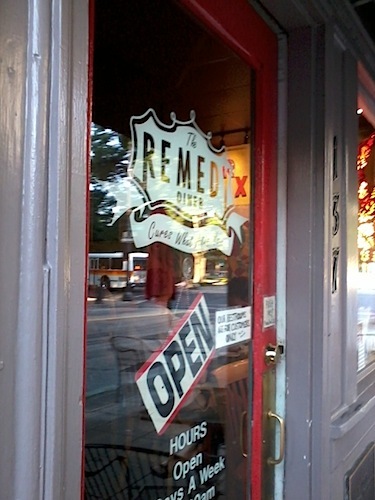 We ate at The Remedy Diner in downtown Raleigh. Upon entering the restaurant I was convinced I had died and gone to heaven. The restaurant itself was a cute little hole in the wall of a place with a fun alternative vibe, the hostess had purple hair (it made me miss mine! 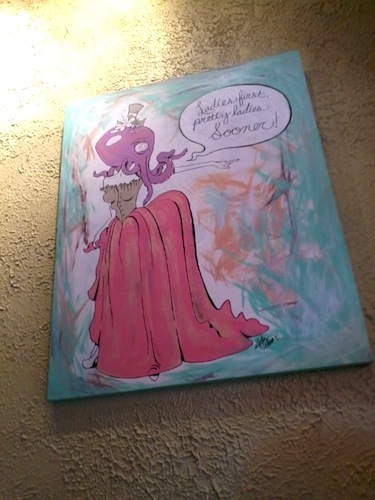 ), there was lots of funky art on the wall, the menu was 70% vegetarian, and they offered gluten free bread, foh free. Yes FOH free. Seriously? This place is my dream come true. I’ll just move in upstairs, then I can eat every meal here. Living the dream. I prefer my art with dark humor and a side of sea creatures please. 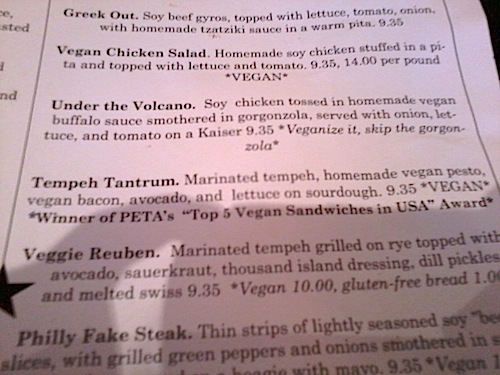 I figured if it was one of the top 5 vegan sandwiches in the USA, it couldn’t be bad. It was. I demolished that sandwich. Seriously the best sandwich I’ve had in maybe for ever. I also got the sandwich without the veggie bacon, it had gluten in it (though it’s usually not a big deal for me in small amounts like that) and I’m not much of a veggie bacon fan. It totally didn’t need the bacon, it was perfect just like it was. I opted for a side salad instead of the chips or vegan coleslaw that was offered. I’m never satisfied with my veggie consumption. The salad was plain but good. I got a lemon dressing to go with it. I’m a lemon tahini dressing freak, if it’s on a menu I will literally base my order off what it will taste good with, and I was a little disappointed with the dressing, I don’t think it had any lemon in it. It was bad, just not what I was expecting, but that was the only flaw I found in my entire meal. The Remedy is a little out of my typical price range, but I will be back. ASAP. 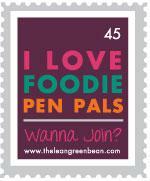 Actually what are you doing tomorrow? Let’s go. Well, I’ve been up since 5 AM. So I’m off to bed! Any good graduation memories? What’s the best sandwich you’ve ever eaten? And how was your Friday? Aww my little brother is going to be a senior next year and I’m still trying to rap my head around it.. When did I get old!? P.S. 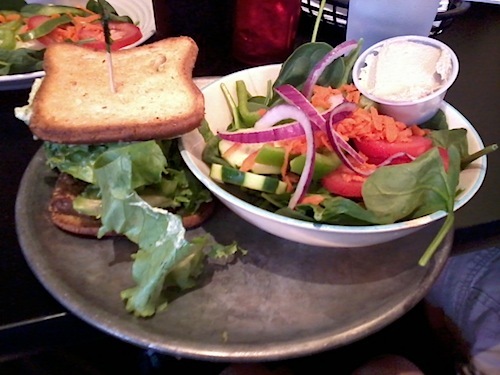 Your veggie sandwich looks delicious!!! I know it’s so weird! They’re not supposed to grow up! And the sandwich was so good! I want to recreate it soon.